Paula Shugart confirmed that the final number of contestants this year is 95! Biggest delegation of Miss Universe contestants in the history. Now, many of you might be wondering on the remaining countries that will participate this year. Our total number of confirmed delegates as of the moment is 91, some of you might have a count of 92 with Serbia included but reliable sources revealed that there is no franchise holder for Serbia atm So we have 4 girls remaining! Wanna know where they'll come from? Finalists aren't revealed yet But one pageant veteran is up for the title BARBARA STORONI is an Engineer and Model. GUYANA - Rumored to be banned by MUO for receiving so much death threats due to last year's winner. TRINIDAD AND TOBAGO - Martrecia Alleyne proclaimed herself as Miss Universe T&T 2018. At the end, MUT&T revealed it's all made up by Alleyne paving way for the latter to file criminal charges against MUT&T and MUO. 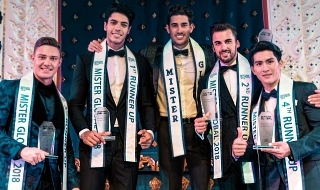 AUSTRIA - Rumored to have dropped the Miss Universe franchise. If those 8 didn’t withdraw, MU2018 would have more than 100. Glad to see more and more countries compete at Miss Universe. Jonathan Nguyen wrote: If those 8 didn’t withdraw, MU2018 would have more than 100. Glad to see more and more countries compete at Miss Universe. Well, every year there is always a withdrawals or absentee. firerprince wrote: Paula Shugart confirmed that the final number of contestants this year is 95! Biggest delegation of Miss Universe contestants in the history. Now, many of you might be wondering on the remaining countries that will participate this year. Our total number of confirmed delegates as of the moment is 91, some of you might have a count of 92 with Serbia included but reliable sources revealed that there is no franchise holder for Serbia atm So we have 4 girls remaining! Wanna know where they'll come from? LOOKS LIKE YOUR SOURCE IS WIKIPEDIA? Ethiopia confirmed their attendace this year at Miss Universe, i'm not sure why they haven't posted anything. And as far as i remember Kenya and Tanzania have the same ND so its weird that only 1 would go. minivaan wrote: Ethiopia confirmed their attendace this year at Miss Universe, i'm not sure why they haven't posted anything. I remember back in 2009, there was no news for Ethiopia. Turned out a secret casting call was made and someone showed up very late in Bahamas. But just like last year...they won't publicize the finalists nor the event and we will just be surprised with the new queen. OMG can we please send this Kenyan girl next year? Honestly, I thought all the girls who will be contenders were crowned already until I saw that girl from Kenya, she's an IMG dream and could be like Mary Esther Were part 2, crowned literally days before they have to leave for the international pageant but shows up and goes very far. I love this girl. Her smile reminds me a bit of Lu Sierra. Italy, Sierra Leone and Slovak Republic should just wait until next year. Slovak Republic is probably not IMG material, Italy is nice but she's not going to stand out and Sierra Leone probably won't be trained as well as she could be. I think the day is near when we have over 100 Miss Universe contestants which is amazing considering how last year they just crossed the 90 contestant limit and this year they are close to 100. I heard Romania would have a casting call too but IDK what happened to that. They're running a bit short on time! 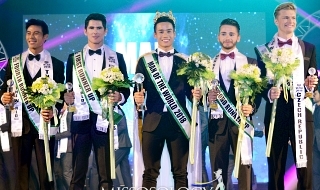 The official organiser of the Miss Universe 2018 competition, TPN 2018 Co Ltd, announced its readiness Monday to host the beauty pageant slated to take place in Thailand on Dec 17. Somchai Cheewasutthanon, CEO of TPN 2018, pledges to show Thailand's ability to take the event to another level by bringing Thai culture to world audiences. He also announced that the swimsuits for this year's contestants will be designed by HRH Princess Sirivannavari Nariratana. Mr Somchai organised the Miss Universe 2005, held in Thailand. His company took over this year, following the exit of TW Investment Group as the official organiser. 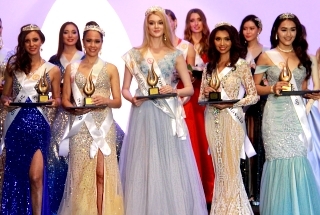 The press conference, held at the Dusit Thani Hotel, was attended by Paula M Shugart, president of the Miss Universe Organisation; current titleholder Demi-Leigh Nel-Peters from South Africa; Miss Universe 2005 Natalie Glebova; and Miss Universe Thailand 2018 Sophida Kanchanarin. Ms Shugart said she was impressed with TPN 2018's ability to put together the event of this scale at such short notice. She anticipates Miss Universe 2018 will be the biggest event in the history of the pageant, with 95 contestants taking part in the contest. Miss Universe 2018 will be the third time Thailand has hosted the world's most famous beauty pageant. HOPING THAT KENYA CHOOSES DEBRA , SHE'S A TOP CROWN CONTENDER FOR ME! , AS LONG AS MUORG DOESN'T FOCUS MUCH ON SASH FACTOR, IT WOULD BE GREAT IF TAMARYN AND DEBRA ARE THE LAST TWO STANDING WITH EITHER ONE OF THEM WINNING! 94 female and 1 male. TheLochnbar wrote: 94 female and 1 male.